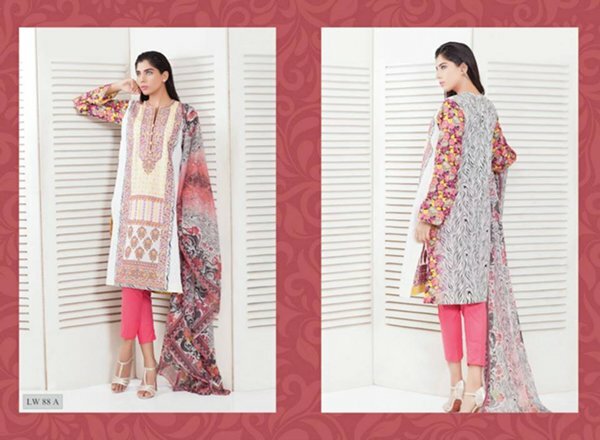 Nation by Riaz Arts Nation lawn collection 2015 for women is all here now, so are you all excited? Here at this post, complete details will be given to you that what the collection all about is, we have been too putting up the pictures, in these pictures as you can see that this collection has been covered with these printed and embroidered suits. 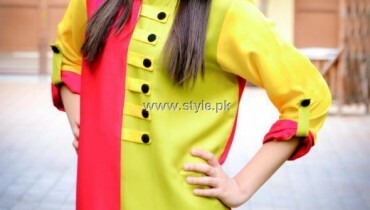 It is this three piece suit collection in which chiffon dupatta has been used. These three piece suits have been covered up with some of the embellishments; they have been adorned with this beautiful of its kind of print and embellishment work. Yes, these suits have been too paired up with these chiffon dupattas, it is these chiffon dupattas that have been adding more elegance and style in these dresses. If we talk about the colors then it is seen and viewed that it is these colors, it is these bright and pastel shades that are adding more elegance in this Nation by Riaz Arts collection line. These printed and embroidered dresses, these chiffon dupattas are present in the range of red, aqua, white, maroon, purple, pink and white. Here we have been too sharing up the pictures of this collection line by this Nation by Riaz Arts, from these pictures, you will be able to see that how much fantastic work has been done by this label. If some more of the Nation by Riaz Arts latest collection lines will come in the market then we will let you know too. Here just pick up your favorite dress, wear it and do let us know your feedback and comments too that how much you like these dresses. We have lots more updates for you so stay tuned.